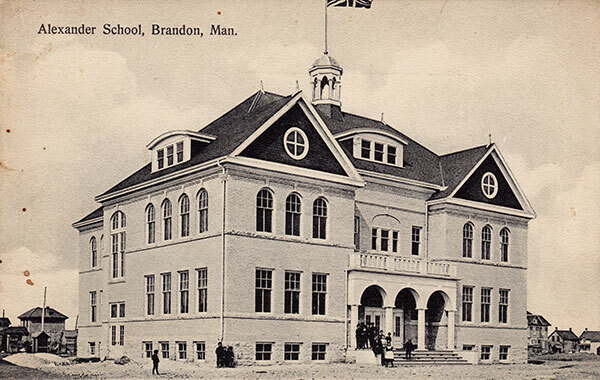 Designed by local architect Thomas Sinclair, Alexandra School was built in Brandon along College Avenue, between Eleventh and Twelfth streets, in 1906. 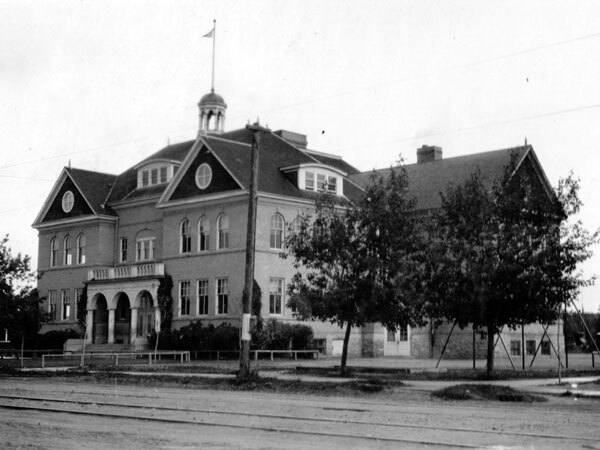 It closed in June 1974 and, the next month, the building was demolished. 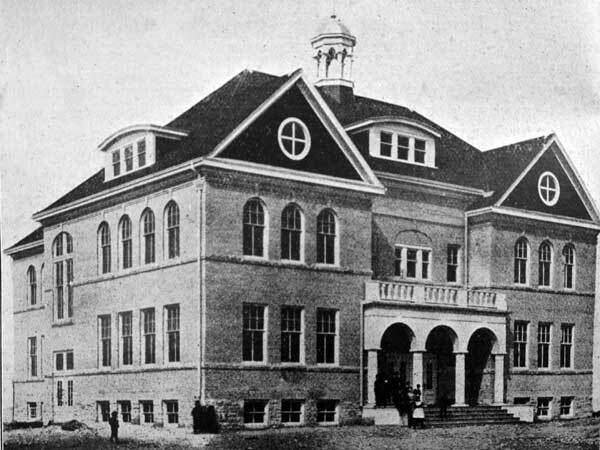 The new Betty Gibson School was erected on its site, receiving students from the former Park School and McLaren School. Elementary department: Henry F. Hyson, Dilys Davies, Eva M. Lyons, Daisy Rhind, Elizabeth F. Pottinger, Hilda Pottinger, E. Marjorie Ram, Cecile H. Mitchell. Junior high department: Mrs. F. M. Levins, Florence Conner, Muriel Bowen. “City landmark coming down,” Brandon Sun, 23 July 1974, page 1. We thank Bobbi Jo Panciera, Greg Sigurdson, and Catherine Harley for providing additional information used here.